If you are going to be traveling to Denver, Colorado in the near future, try staying in a fully furnished corporate rental. All properties listed below include all furnishings, linens, towels, bedding, housewares, parking, capped utilities, expanded basic cable, wireless high speed internet, and domestic long distance all for one great price. Flat-Screen TV in Living Room; Stainless Steel Appliances; Office Has Large Desk with Wireless High-Speed Internet; 1 Covered/Heated/Secured Parking Spot; Large Balcony with a Natural Gas Line Hook Up; Secured Building with Elevator Access; High End Amenities with Pool, Spa, & Clubhouse with Business Center, Fitness Room, Pool Table and Card Tables; Convenient Guest Parking; His and Her Sinks; Oversized Tub; Stackable Washer and Dryer in Unit; Walking Distance to Light Rail; and Close to Malls, Restaurants, Grocery Stores, Etc. 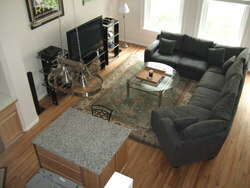 To view more photos, maps, and information about this gorgeous DTC loft, please click here. 2BD/1BA Newly Remodeled Loft w/ Office in Downtown Denver. This property features: 1600 Square Feet; Hardwood Floors Throughout; Living Room has Large Sectional Sofa; Modern, Fun Artwork; 3rd Floor 2 Story Loft; Loft area has Large Corner Desk for 2, with 2 Office Chairs; Loft area has day bed; Brand New Stainless Steel Appliances; Fully Equipped Kitchen; Hardwood Floors; Large Flat Screen TV in Living Room; King bed in Master; Master bedroom has upgraded pillow top mattress; Master bedroom has Large Flat Screen TV mounted on the wall with DVR Capabilities; Queen bed in 2nd bedroom; 2nd bedroom has upgraded pillow top mattress; Large spacious closets; Building has small fitness center; Detached parking space; and a Stack-able washer/dryer in unit. To view more photos, maps, and information about this great downtown Denver loft, please click here. 1BD/1BA Downtown Loft in the Glasshouse. 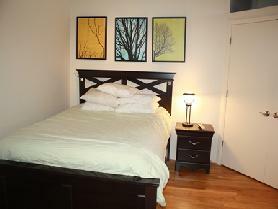 This property features: King bed in master bedroom; Washer and dryer are in unit; Stainless steel appliances; Granite counter-tops in kitchen; Plasma TVs in living room and master bedroom; Mountain and city views; Leather sofa set; Built-in desk with high-speed internet; Hardwood floors throughout; and Granite countertops in bathroom. To view more photos, maps, and information about this beautiful property, please click here. 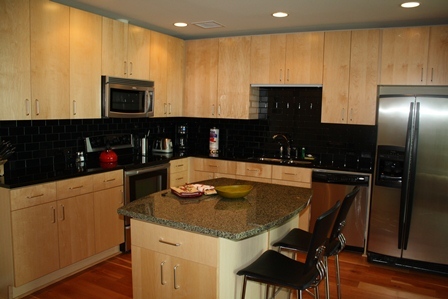 1BD/1BA Downtown Denver Stadium Loft Near Coors Fields. This property features: 871 Square Feet; Building Built in 1916, Renovated in 1995; Secure Entry in 6 Story Loft Building; Elevator Access; Loft Architecture with Exposed Duct/Brick with High Ceiling; Stainless Steel Appliances; Electric Stove; Granite Counter-tops; Hardwood Floors; Open Layout; Queen Bed in Master; Additional Flat Screen TV in Master; Double Murphy Bed in Living Room; His/Her Sinks in Bath; Upgraded- Stand Up Shower in Bathroom (No Tub); Washer/Dryer Located in Master Bath; 1 Assigned Space in Attached/Secure Garage; Denver County 1 School District; Building has Rooftop Deck with Grill; Stadium Lofts -Located at the Corner of 23rd and Blake street, Just North of Coors Field; Located in the Heart of Denver’s Ballpark Neighborhood; Walking Distance to Local Restaurants around Coors Field and in Historic Lower Downtown Denver (LoDo). 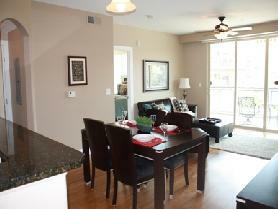 To view more photos, maps, and information about this beautiful loft, please click here. To view all of the amazing, exclusive AvenueWest Denver Signature Properties, please visit us at http://Denver.AvenueWest.com or give us a call directly at 303-825-0000. Been to Denver a few times over the years and as the author suggests, you can find some great rentals there if you are prepared to look around.